Mt Runners & Walkers Club Inc has been going for over 30 years encouraging and promoting the fitness and well-being of its members through running and walking. Our membership includes people of diverse ages and abilities and currently stands at about 270 members. We are actively involved in a wide range of sporting events, both social and competitive. We encourage membership from adults of all fitness abilities. We have a large core of runners with paces ranging from extremely fast to middle of the road to happy just to finish. Everyone has different pacing needs depending on their level of fitness, running history and their goals and objectives. We have a large active group of senior walkers fulfilling a vital role in promoting health and fitness amongst our local retired community. The club also provides an opportunity for parents to get back into fitness by offering child-minding services and a beginners running program. This allows parents to maintain their fitness and achieve their sporting goals, while also establishing a health-oriented support network. The club also provides an opportunity for gentle rehabilitation following injury. We encourage club members to participate in events and coordinate and subsidise a wide range of running and walking team events. Through our membership-only closed Facebook page club members set up early morning and weekend runs with one another in keeping with their running goals and objectives. In 1984 a small group of some six Plunket Mothers met at the Plunket rooms in Miro Street one morning a week for a run. Half of the mums ran around the block while the other half babysat. Gradually, they increased their distance and time – they called themselves Plunket Mother’s Running Group. Around this time a group of mid-week joggers who met at Girven Rd called Mt Joggers went into recess and some ladies from that group joined the Plunket Mothers. Joseph Piwari had not long bought the Mt Fitness Centre when he was asked to coach a group of women. He took up the challenge and over the next 3 years, taught the girls all he knew about running. The first brave male joined the ladies, and track work became a Friday ritual, and the Plunket Mother’s Running Group became the Mount Fitness Joggers. In 1986 Joseph took 9 women and 1 man to Waiouru for their 1st team event in the 100 mile relay. Mt Fitness Joggers was growing and Joe became busier with his business and his involvement became less and less. By this time, the group of runners were entering 10km fun runs, half marathons and in 1987, four of the original Plunket ladies group ran the Fletcher Marathon. Mt Fitness Joggers out grew the Plunket rooms and moved to the Scout Den in May Street. The group was now called Mount Joggers. Introducing Sunday runs took a little getting used to. The nucleus was still mid-week women. Gradually, men joined the group and Mt Joggers grew some more. This growth spurt was met with some apprehension from some of the committee members. 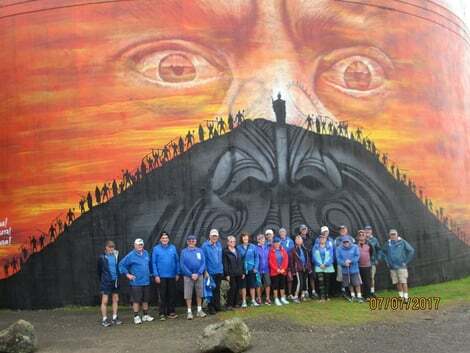 The club was changing and moving into other areas: cross country events, road relays, Waiouru 100 mile relay and the Fletcher marathon became yearly events. It was deciding to introduce a walking group and numbers grew some more. 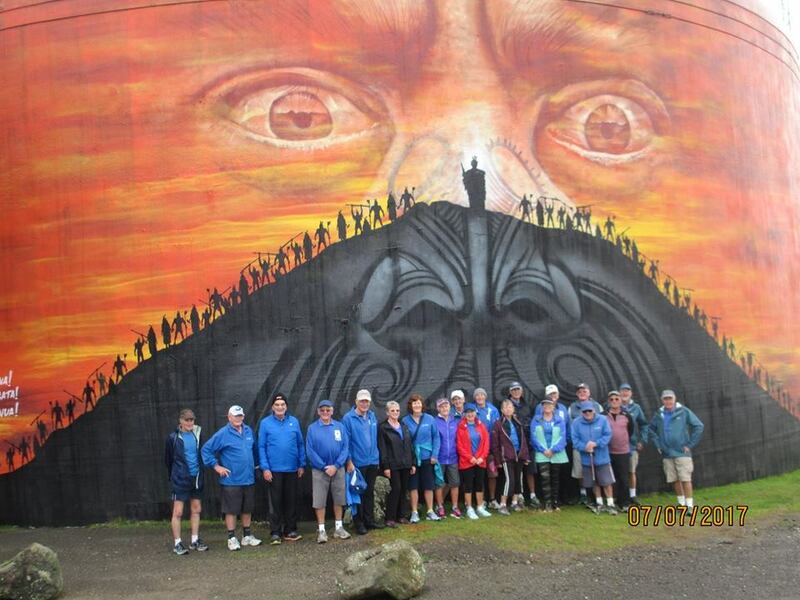 In 2017 we changed our name from Joggers to Runners to reflect how members identify themselves.Today Mt Runners&Walkers is a club of almost 300 members (60% runners, 40% walkers) and we participate year around in events around the country from the local City to Surf to the Rotorua Walking Festival, the Tarawera Ultramarathon to the tiny Kirikiriroa marathon in Hamilton. Our own half marathon event - the Mt Runners&Walkers Half Marathon is held every year at Queen's Birthday attracting 1,400 runners and walkers in 2018 across the half marathon, 10 km and 5 km events.